Poet Richard Blanco reads from his collection “Looking for the Gulf Motel.” His papers are now part of Emory’s Stuart A. Rose Manuscript, Archives and Rare Book Library. Photo by Joyce Tenneson. Emory’s Stuart A. 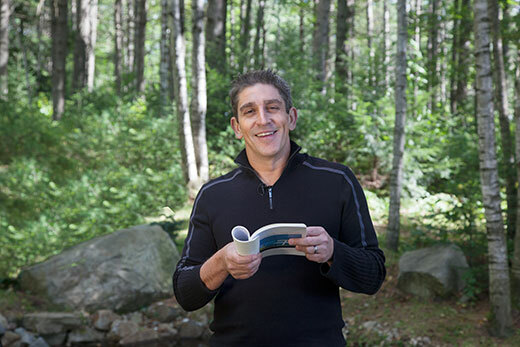 Rose Manuscript, Archives and Rare Book Library has acquired the papers of poet Richard Blanco, who became widely recognized after reading his poem “One Today” at the second inauguration of President Barack Obama in 2013. The collection includes first editions of published books, commissioned and occasional poems (such as “Boston Strong”), drafts and critiques, unpublished works including essays, nonfiction and speeches, and correspondence with other authors and poets. Blanco’s papers are now part of the Rose Library’s literature and poetry collections, connecting particularly with writers, activists and artists who address matters of identity. They also dovetail nicely with the collection of letters written by a college-age Obama, acquired by the Rose Library and announced last fall, which revealed a young Obama’s search for his own sense of identity and purpose in life. The fifth inaugural poet in U.S. history, Blanco is the youngest poet to have served in this capacity, as well as the first Latino, immigrant and openly gay poet to read at the U.S. presidential inauguration. Blanco has visited Emory twice as a guest speaker of the Spanish and Portuguese department, in October 2016 and February 2017. As he talked with Magee, he says he learned of the library’s commitment to being a “living” archive that strives to use its materials to invite discussion and public discourse, making poetry a regular part of learning and research. “As Presidential Inaugural Poet, I knew the Rose Library was the perfect home, not just for my papers, but for all I stand for in the name of poetry and its relevance to all,” Blanco says. Blanco’s life, from the start, has been about traversing boundaries. He was born in Madrid, Spain, where his family resided briefly after exile from Cuba. They moved to New York City when he was an infant, then to Miami, where he grew up. On the advice of his parents, he obtained a BS in civil engineering from Florida International University (FIU) in 1991 and started work as an engineer. He returned to FIU to earn his MFA in creative writing in 1997, launching his career as a professional poet. Blanco’s first book of poetry, “City of a Hundred Fires” (1998), won the Agnes Lynch Starrett Poetry Prize. Blanco pursued poetry full time, teaching at Central Connecticut State University as a creative writing professor while intermittently continuing his career as an engineer. He designed town revitalization projects in Miami while writing his second book of poetry, “Directions to the Beach of the Dead” (2005), then moved to Maine and completed his third book, “Looking for the Gulf Motel” (2012). Even before his inauguration reading in 2013, Blanco’s work was becoming well known, and he has received numerous accolades for his poetry, including the Paterson Poetry Prize, a PEN/Beyond Margins Award and multiple fellowships. Blanco published a memoir, “The Prince of Los Cocuyos: A Miami Childhood,” in 2014, a funny and touching book about a young man born to Cuban immigrants, growing up in America and finding his artistic and sexual identity. In 2015, he released a children’s book, “One Today” (illustrated by Dav Pilkey of “Captain Underpants” fame), based on his inauguration poem. His current projects include a blog he co-created with Cuban-American writer Ruth Behar called “Bridges to/from Cuba: Lifting the Emotional Embargo,” which shares the real lives and emotional histories of Cubans across the globe. His latest project is the fine-press book “Boundaries,” published in fall 2017 (Two Ponds Press), now in the Rose Library’s rare book collection, which features his poems paired with images from photographer Jacob Hessler. Blanco’s papers will be available upon request by the end of February 2018. More information about viewing collections is available on the Using Rose Library page at the Rose Library website.